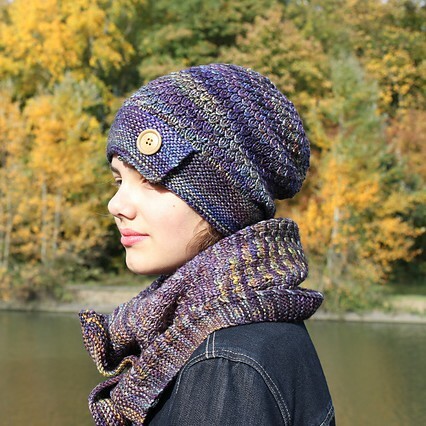 Lopta is a hat and a matching cowl with nice cables and bobbles to protect you from the winter cold. Lopta I available in 4 sizes, so it is perfect for warming the whole family. 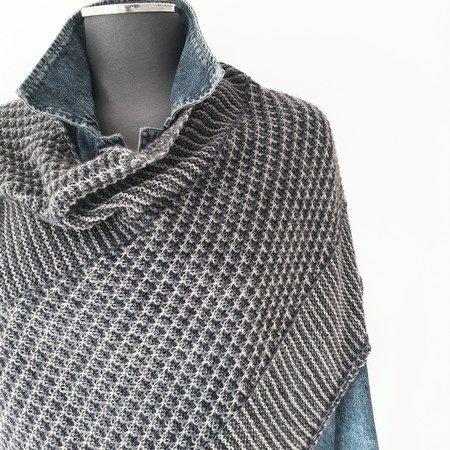 You can even knit a men’s version by knitting the cable without the bobbles. 5mm (US8) circular needle or size to obtain gauge. Hat: toddler: circumference 15.5 “/39 cm, lenght 7.25″/18 cm. Child: circumference 17.5″/44 cm, lenght 7.75″/19,5 cm. Adult M: circumference 19.5″/49 cm, lenght 8.75″/22 cm. Adult L: circumference 21.5″/54 cm, lenght 9.25″/23 cm. 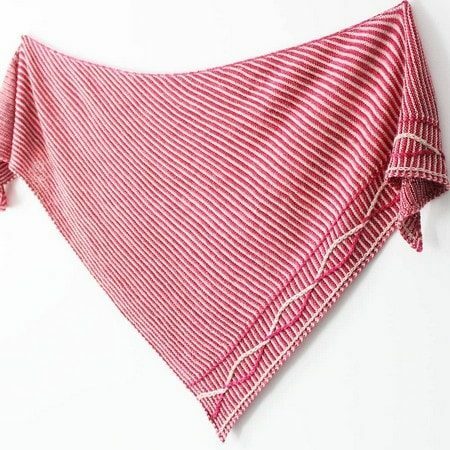 Cowl: toddler: circumference 18.75″/47 cm, lenght 5.25″/13 cm. Child: circumference 20.75″/52 cm, lenght 6.75″/17 cm. Adult M: circumference 23.25″/58 cm, lenght 10.5″/26 cm. Adult L: circumference 25.5″/64 cm, lenght 10.5″/26 cm. 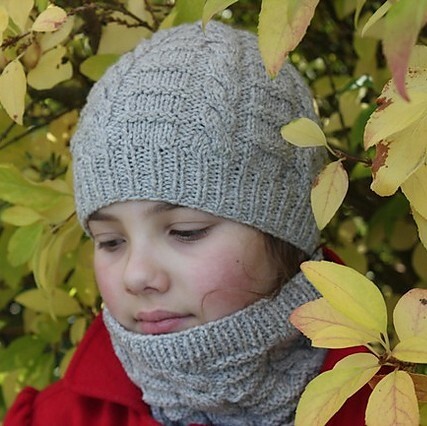 The hat and the cowl on the photos were knitted with Graine de Laine, Mélisse Aran. 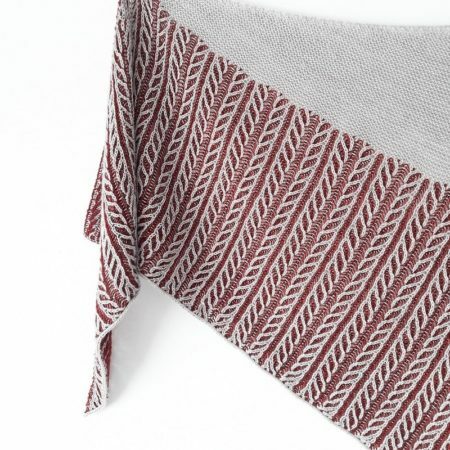 This Bandana cowl mixing lace, cables and patterned stitches is knitted from the bottom up. The side borders as well as the top of the cowl are nicely finished with an i-cord. There are 2 buttons in the back to close the cowl, the large opening allows to put the cowl on without messing your hair already styled ! 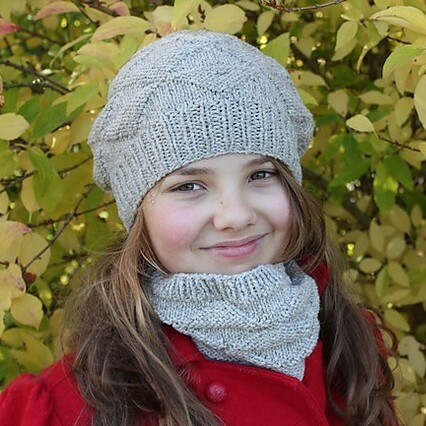 Oxalis is a hat and a cowl for all the family’s girls! The hat and the cowl are worked in the round with circular needle. RSK Greenshop, Autentika, 1(2/2) skein(s) (220m for 100g) or any other DK weight yarn to get correct gauge. Iberis is worked in the round with circular needle. – Two textured stiches for women or men. 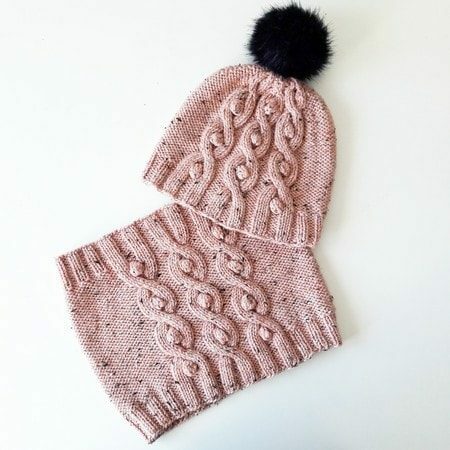 – Two styles : beanie or slouch. 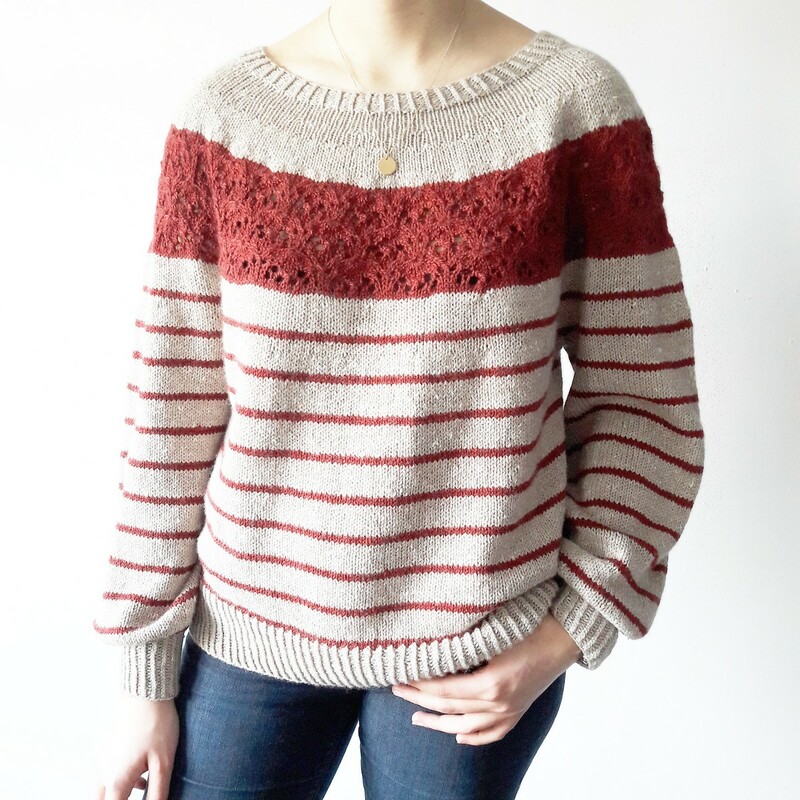 The central stiches consists of crossed stitches knit without cable needle (instructions in pattern). Kallio it’s a hat and a cowl for all the family! * RSK Greenshop, Autentika, 1(2/2) skein(s) (220m for 100g) or any other DK weight yarn to get correct gauge. 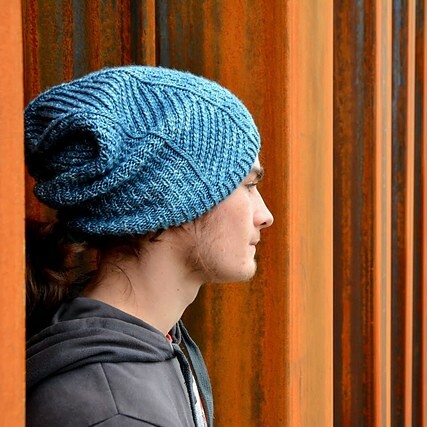 Olmo is the perfect hat and cowl to bundle in the winter. Offered in different sizes and versions to keep the whole family warm. The girl version of the hat is decorated with a button and a fake buttonhole, while the boy’s version is classic and discreet. This hat has a slouch shape except for the child’s version. 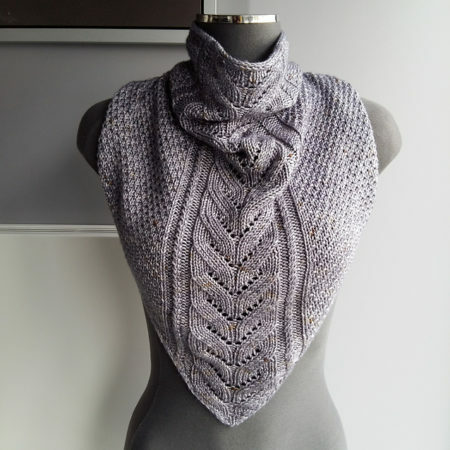 As for the cowl you can knit the longer version with 3 buttons or the more classic short version. You can create your favorite combination by mixing all the different possibilities. Hat: Malabrigo Rios, candombe (210 yards/192 m for 100g), 1 skein, or about 110 (155/175/200)” 100 (140/160/180) meters of worsted weight yarn. 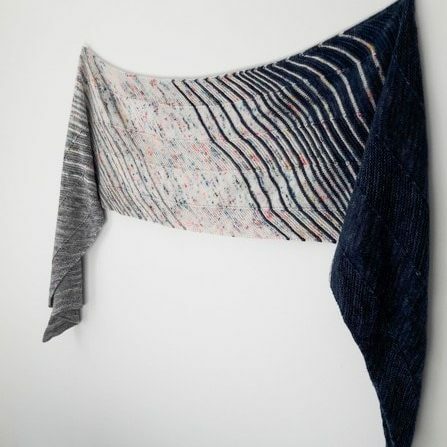 Cowl: Malabrigo Rios, candombe (210 yards/192 m for 100g), 1 (1/2/1/2) skein(s) or about 110 (145/265/190/330) 100 (130/240/170/300) meters of worsted weight yarn. 4,5 mm (US7) needles or needles necessary to obtain the correct gauge. Another 4,5 mm (US7) needles or needles necessary to obtain the correct gauge for the girl’s hat and the short version of the cowl. One button, 1,2” diameter, for the girl’s hat. Three buttons, 1,2” diameter for the long version of the cowl. 4,5mm hook and waste yarn for provisional cast on.